It’s that time of year again folks! Time for twinkly lights, jovial music, spiked eggnog and tryptophan comas! This also happens to be my favourite time of year. I’ll admit I am one of those people who loves when they start playing Christmas music in malls, has my tree up by early November and insists on watching every Christmas movie ever made, every year. Love Actually is my favourite, and yes I still cry when the little boy runs through the airport to tell the little girl he loves her. Anyone who doesn’t cry at that part is a soulless robot. But, aside from the general cheer, the holidays also bring copious amounts of get-togethers. From large, formal parties to casual dinners, lunches and drinks. Everyone seems to want to catch up with old friends and new friends before the holidays hit. Maybe this desire to re-connect is a result of all of those sappy movies that make us reflect on the past year, and realize how long it’s been since we’ve seen anyone. Or, maybe it’s because there’s just something about this time of year that makes it feel good to be out amongst the cheerful people, colourful lights and jolly music and make more of an effort than we normally would? 1) Make a visiting schedule – I know this applies to life in general, but let’s face it, we don’t use our calendars as much as we should when it comes to our personal lives.Try to schedule the friends and family you want to see as far in advance as possible and actually put the date into your calendar. If you plan in advance it won’t seem so overwhelmingly stressful and you might actually look forward to it. 2) Remember it’s okay to say No – Despite our best organizational efforts, sometimes we just can’t make time for everyone during the holidays. If this person is truly your friend, they will understand and not wish an anxiety attack on you if you need to schedule time with them in the New Year. If they don’t understand, well you might want to re-assess your friendship. Harsh, but fair. 3) You can’t buy presents for everyone – It is virtually impossible to buy presents for everyone you know, nor is it necessary. 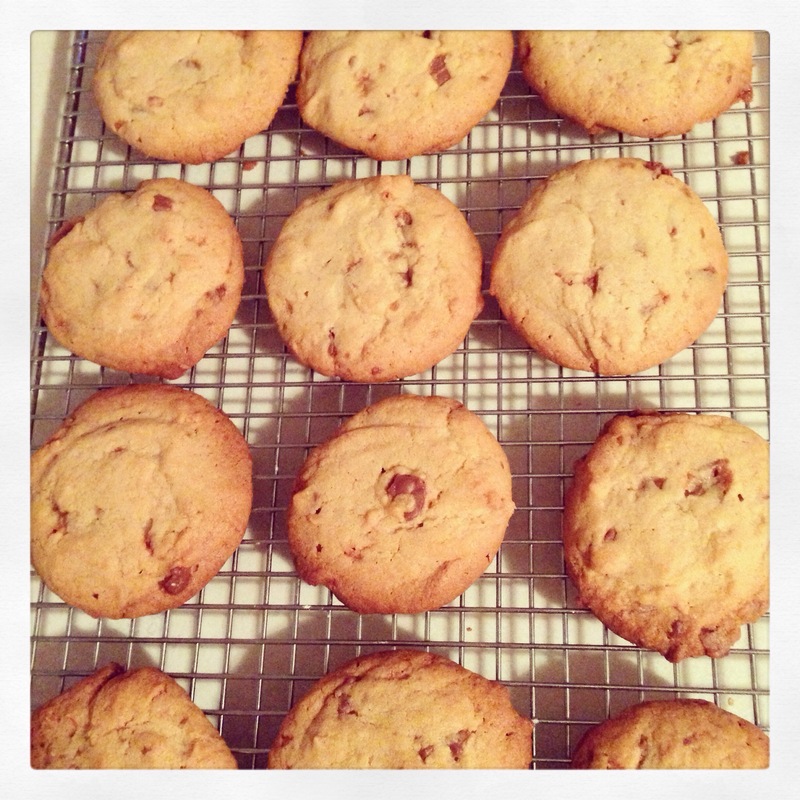 I recommend making a list of everyone you really need (and want) to buy a meaningful present for and then give everyone else a lovely card and maybe some homemade cookies if baking is your thing. A thoughtful card goes a long way. 4) Make Lists & Shop Early – These might be two points but believe me they go hand it hand. I know shopping early is something we all say we’ll do and it totally doesn’t happen. I am guilty of this. I recommend taking an hour on a Saturday to make a list of all the people you want to buy for (refer to tip 3!) and make a list of gift ideas for each person. If you listen to tip 3 this list shouldn’t be too long. If you make said list early enough (say August?) you can actually start keeping an eye out for gifts before they become overpriced. 5) Don’t Forget About You – Last, but definitely not least, remember to take time for yourself. Yes this is the time of year for giving to others, but, as I always say to my Mom, “if you don’t take care of yourself first, you’re no good to anyone!” Considering my Mom has a habit of thinking of everyone else but herself, I find this to be an effective phrase. There you have it! These are some tidbits I find helpful during the holidays and I hope they help you too. Now folks, I want to hear from you. What do you find helpful to stay sane and keep organized during the holidays? Stay tuned for my step by step adventure cooking my very first turkey! Part of the reason I took a break from blogging has to do with on onslaught of people arguing about the validity of terms like introvert and extrovert. It got me to thinking about these terms and how accurate and relevant they are. And, here’s what I’ve decided. They are incredibly relevant. No one is claiming that these terms are scientific in any way, but studies do show that some groups of people are energized by large crowds and interactions with lots of other people, and some people are drained by the same interactions. This doesn’t mean that this second group of people don’t enjoy social interaction, in fact some introverts are incredibly social, they just come away from the experience feeling differently than extroverts and they need quiet time to re-charge. I fit squarely into this second category as do many people I know, and in an increasingly social world with open concept offices, more condos going up all around us and populations continuing to grow, an understanding of what introverts need to be productive and happy is more important now than ever. So if you find yourself wondering how to reach that quieter employee or how to get your “homebody” friends to come out with you more often, remember to practice a little patience and consider a different approach. For example, maybe that employee would feel more comfortable speaking up in meetings if they knew they wouldn’t be interrupted by their more extroverted colleagues. Some offices use the “spirit stick” policy. You know that idea where only the person with the stick can speak? 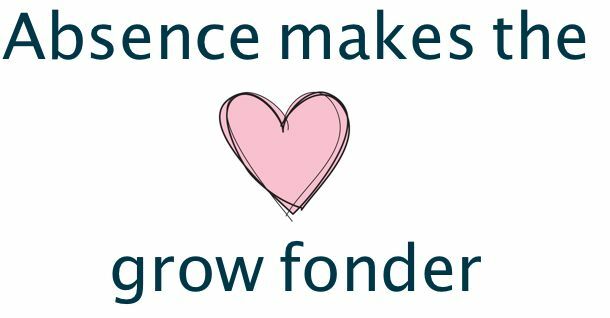 It might be a little cheesy, but at least it gives everyone an equal chance to contribute and makes it more obvious when someone interrupts or talks over someone else. 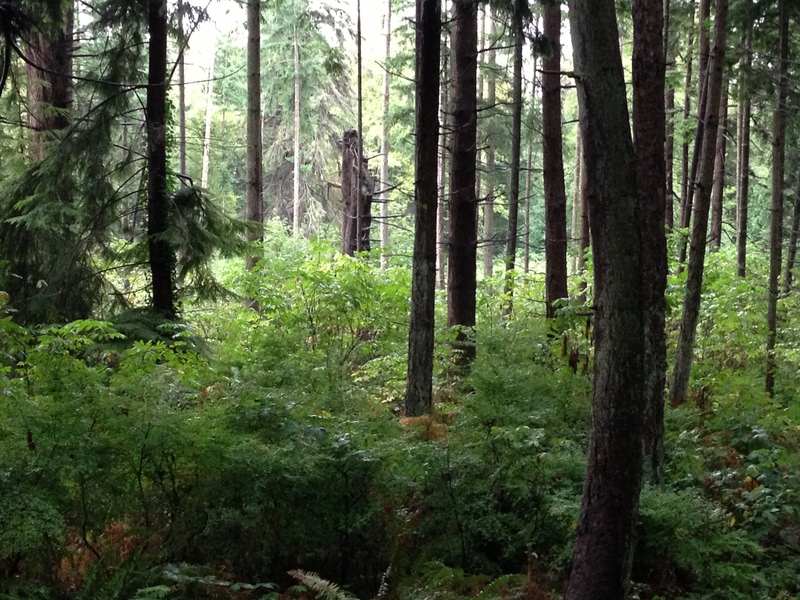 It is this kind of discussion that has brought me back into the game of writing about what it means to be an introvert or an extrovert and why that conversation is so important. Lastly, I’d like to share a video of an office that seems to be doing it right! When I first saw this, I’ll admit I called them out on not creating an environment where introverts would thrive, and possibly being at risk of not having a diverse workforce with a good balance of introverts and extroverts. Well, they promptly tweeted back assuring me that they have nap rooms where anyone can go to re-charge, as well as ample meeting spaces for quiet work. 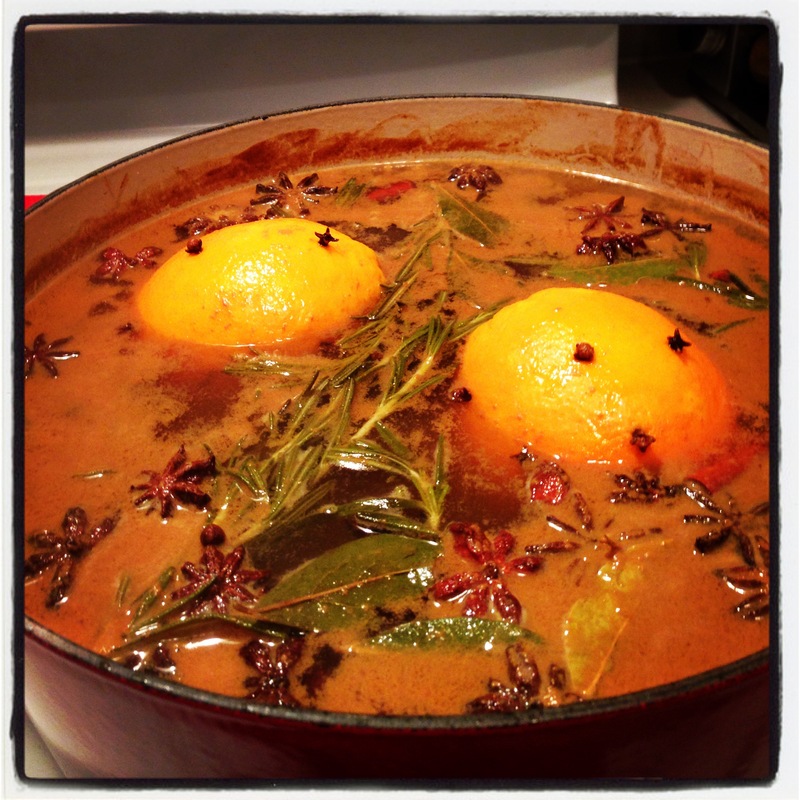 Nothing like some caramel mulled cider to make the holidays all warm and fuzzy. The above phrase must be true because I certainly have missed writing for Quiet Girl Loud World. Firstly I’d like to say thank you to my newer followers for checking out the blog! Secondly, I would like to apologize for my unexplained hiatus from blogging. I’ve been doing some work updating the style of my blog behind the scenes and, as often happens, life got in the way. 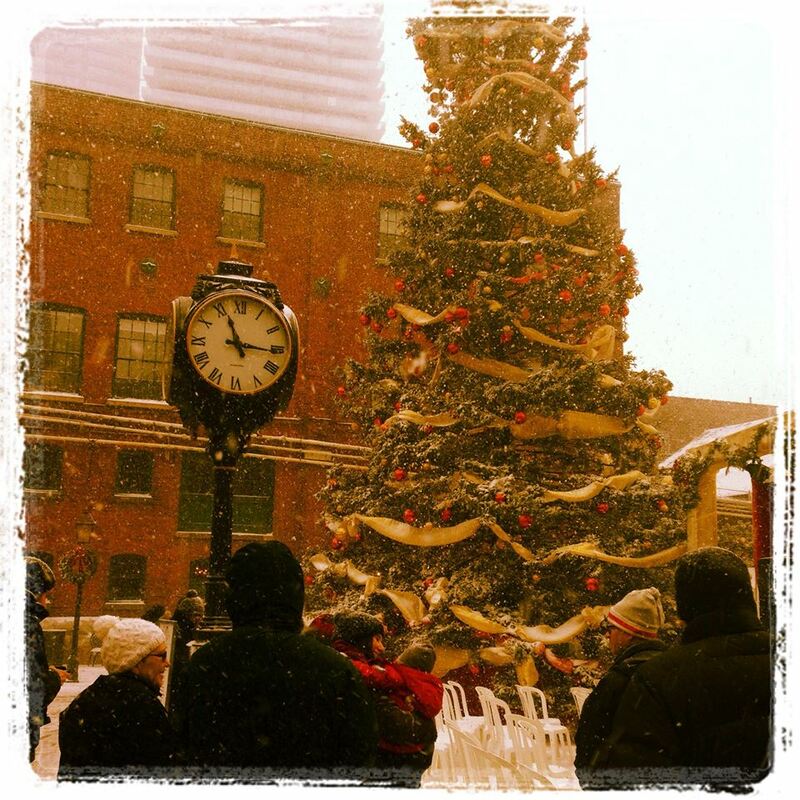 Here is a quick update on what I’ve been up to: working, taking courses, battling a flood in my condo and, most importantly, preparing for the merriest time of year, and my personal favourite holiday, christmas time! Quiet Girl Loud World will be back in action next week following a new Weekend Snapshot this weekend, so stay tuned. 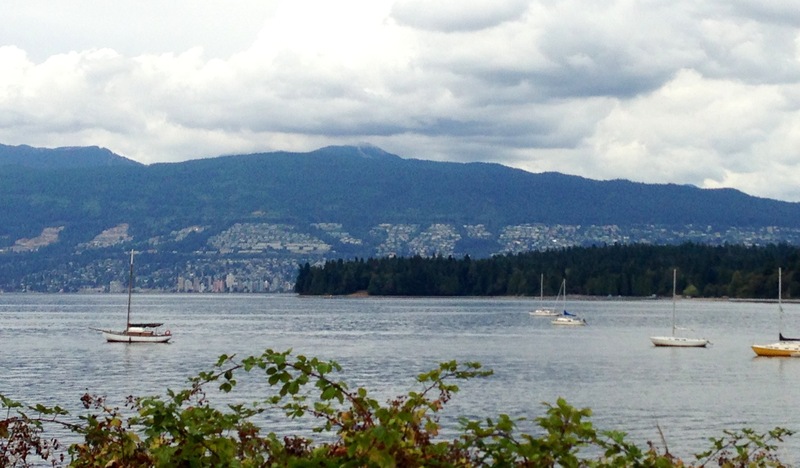 My remaining days in Vancouver were filled with more gorgeous scenery and delightful new food experiences. My friend and I went out for a girls night at The Keefer Bar, a place known for some of the best cocktails in Vancouver – and it definitely lives up to its reputation. If you find yourself here on a Thursday, your 6th, 7th, and 8th scientific concoctions of booze and fruity goodness will be accompanied by a classic burlesque show. This was my first experience with burlesque and it was fabulously fun. The creative cocktails, fun shaped glasses and 1920’s music create a boardwalk empire era mood minus the threat of prohibition-era police closing down the joint and carting everyone off to jail. 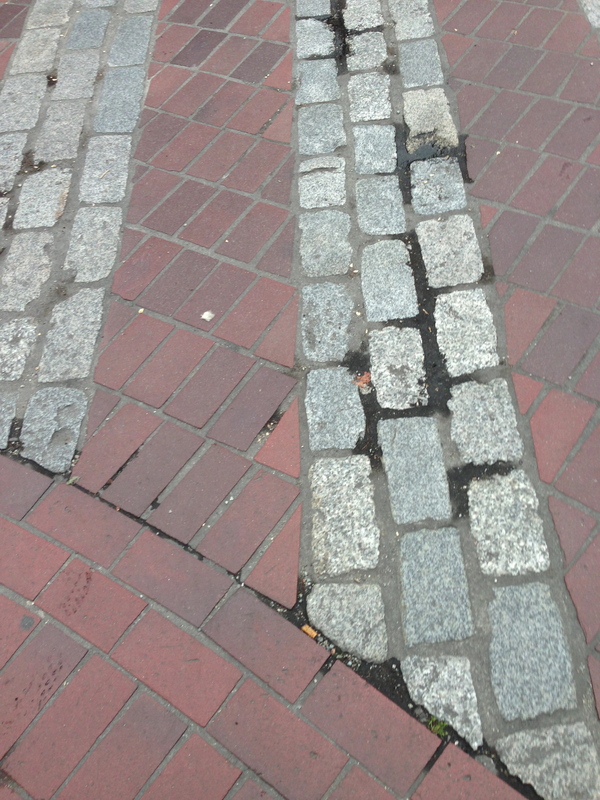 To get to this restaurant, there is a strip of sidewalk worth mentioning. Along Carrall Street, somewhere between East Hastings and West Pender, lies, what I endearingly termed ‘crack-head alley’. Never in my life have I encountered a block on an otherwise usual street where the general population can be described as shaky, bleary eyed and leering. I would caution a jaunt down this particular block unaccompanied. I will leave it at that! 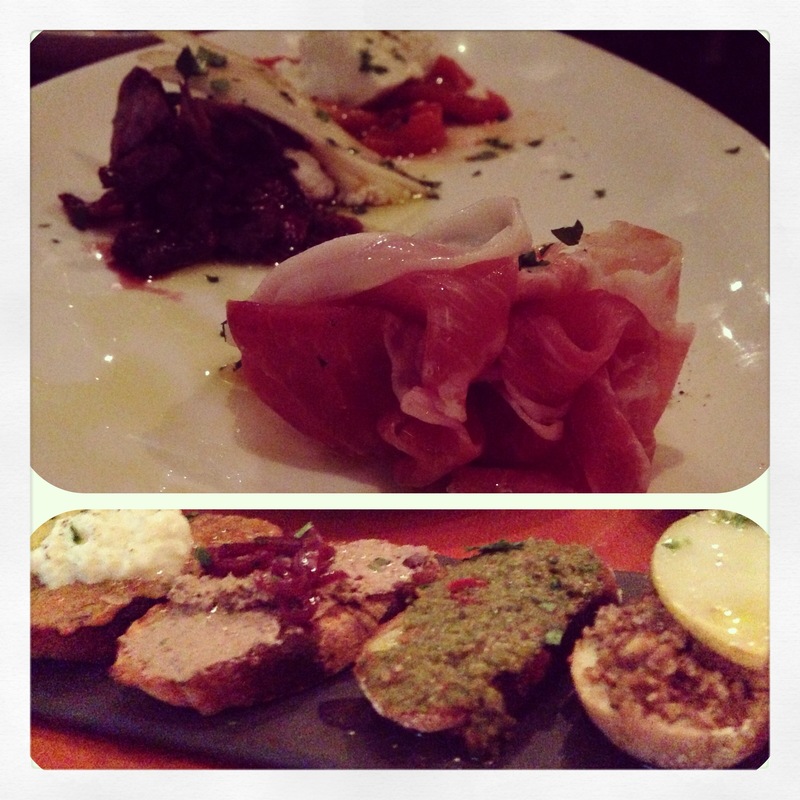 The days that followed included an evening out to one of the loveliest Italian restaurants I’ve been to, called Tavola. We were treated to hand-made pastas, burratta cheese, which I think we can all universally agree is the Beyonce of the cheese world – fabulous, luscious, and you definitely fantasize about it sometimes. When we declined desert, the waiter was kind enough to bring us the lightest, creamiest panna cotta either of us has ever tasted. Clearly he didn’t buy our ‘we couldn’t possibly’ act. This was followed by liquid chocolate courtesy of Thierry Chocolates, which tastes more like someone melted high quality chocolate into a cup than anything called hot chocolate. You will literally spit you Starbucks hot chocolate out in disgust after you’ve tasted this. The following day was my favourite day and one I won’t easily forget. 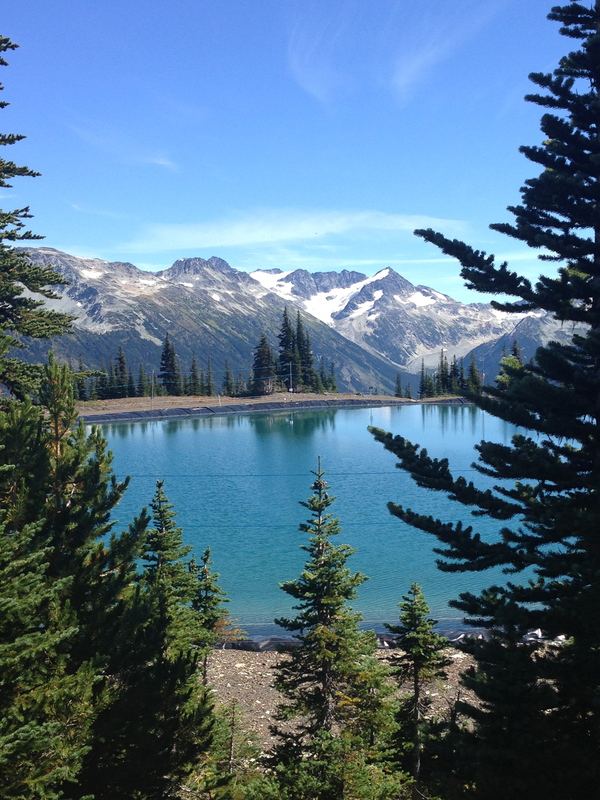 We awoke early and took the stunning drive to Whistler. This is easily one of the most beautiful parts of Canada I have ever seen. 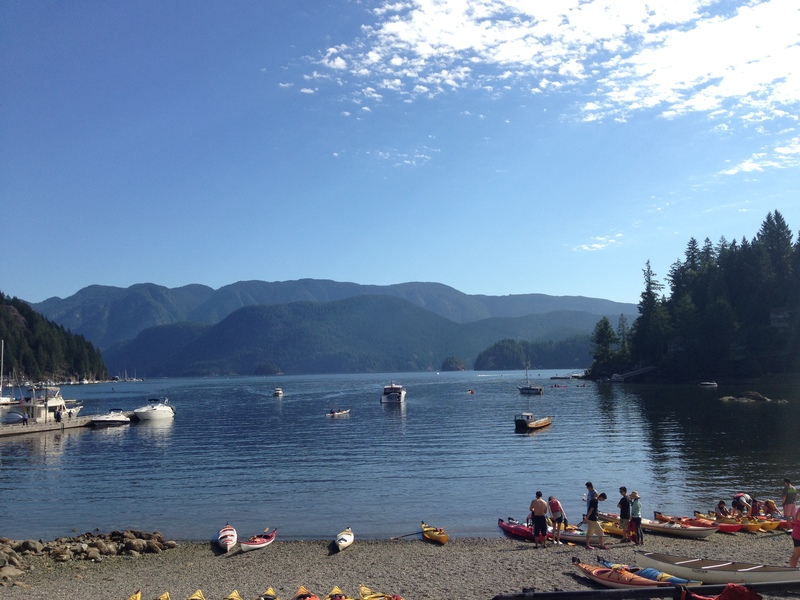 Imposing mountains, lush greenery and endless ocean, studded here and there with white sails. Like a vision from a postcard. We purchased Peak2Peak gondola passes, a bit steep at $45.95 each, but completely worth it. I don’t tend to think of myself as someone with a fear of heights, but the rickety ride to the top in what can only be called a hot box was somewhat unnerving, at least for me. My friend was fine. 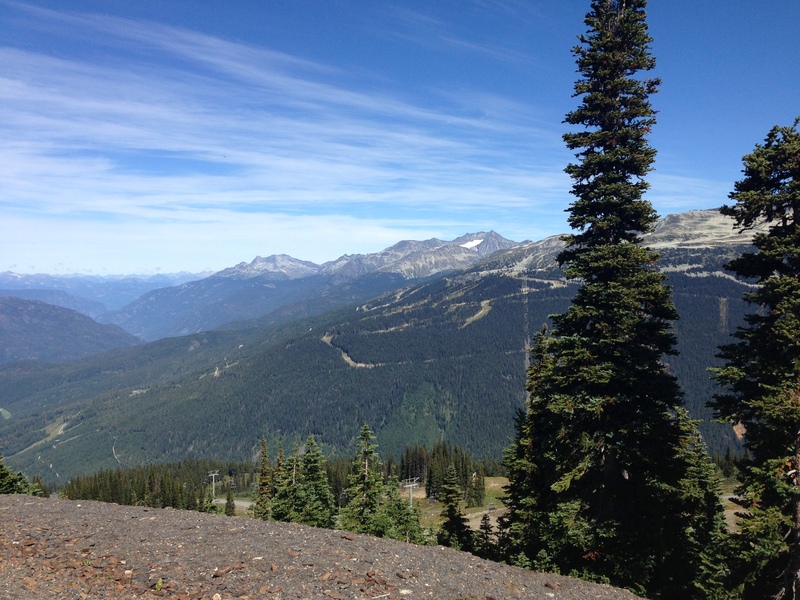 Once atop Whistler Mountain the view is breathtaking and the mountain air fresh and cool. We walked down to the man-made lake (my favourite photo!) which is, somewhat disappointingly, surrounded by an electric fence – they aren’t kidding around! However, the view is remarkable and not like anything I’ve ever seen. After some sightseeing, we climbed onto the larger, much more comfortable peak2peak gondola (with windows at the top, thankfully!) The view as we glided from Whistler over to Blackcomb was amazing. Endless green with glimpses of turquoise blue water. I left privileged that I had the opportunity to go somewhere and see something that many people, with exception of avid skiers, don’t ever get the chance to see. Despite sharing our gondolla with two other couples and a family, it felt like a unique, personal experience – a little bit of magic. 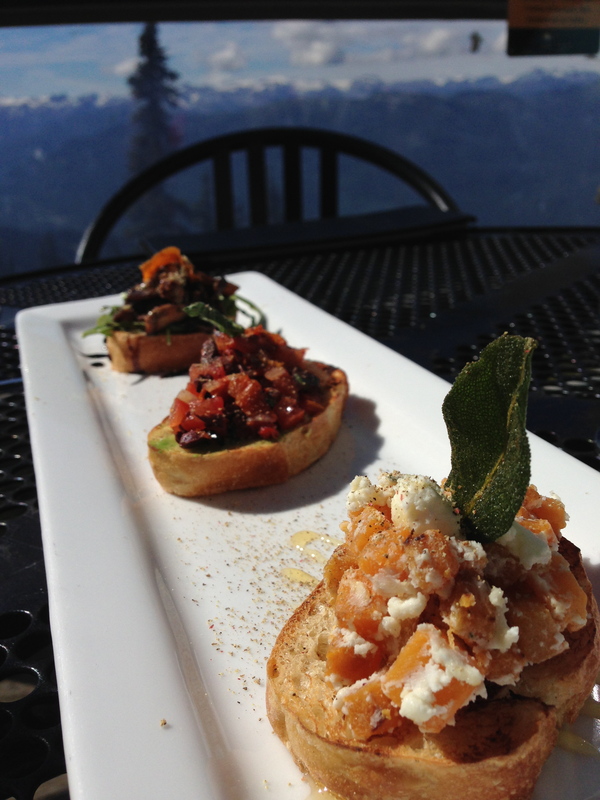 We arrived on Blackcomb and made our way to Yelp’s highest rates restaurant in Whistler, Christine’s. A modern patio overlooking the whole mountain below. Sitting on that patio, sipping wine and feeling the warmth of the sun on my face (which would later manifest into an unwelcome sunburn – TIP: Bring sunscreen!) was the highlight of my holiday. That’s the moment I’ll remember on those minus 20 winter nights back home. 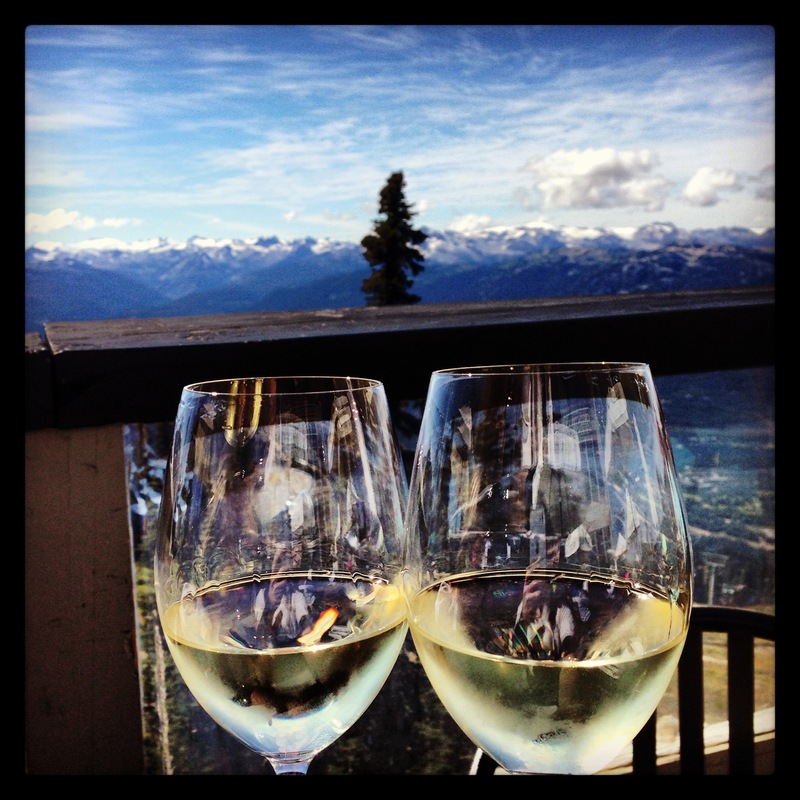 I’d also like to note that we chose to go up Whistler Mountain and down Blackcomb because we were told this was the most beautiful way to do the Peak2Peak, and I would absolutely agree. Descending Blackcomb, we took an open-air gondolla (a.k.a. regular chairlift), a thrilling and only slightly terrifying experience. And, so much easier to take photos without all of the glare from the glass! I highly recommend the experience. A couple of other activities I filled my time with in between included a trolley tour through Gastown and incredible Stanley Park, Vancouver’s own smog filter I’m told – how clever! I highly recommend a trolley tour in a new city. I know what you’re thinking. “I laugh at those people hanging off the side of a tour bus snapping photos of everything passing by, I’d much rather explore the city on foot.” Well, I used to be just like you, until I did a hop-on hop-off bus tour of Paris and it completely changed my attitude towards the whole thing. It is an excellent way to get to know your way around the whole city, you can hop off and back on at any of the numerous check-points and explore, and you learn along the way with either an in-person or audio tour guide. 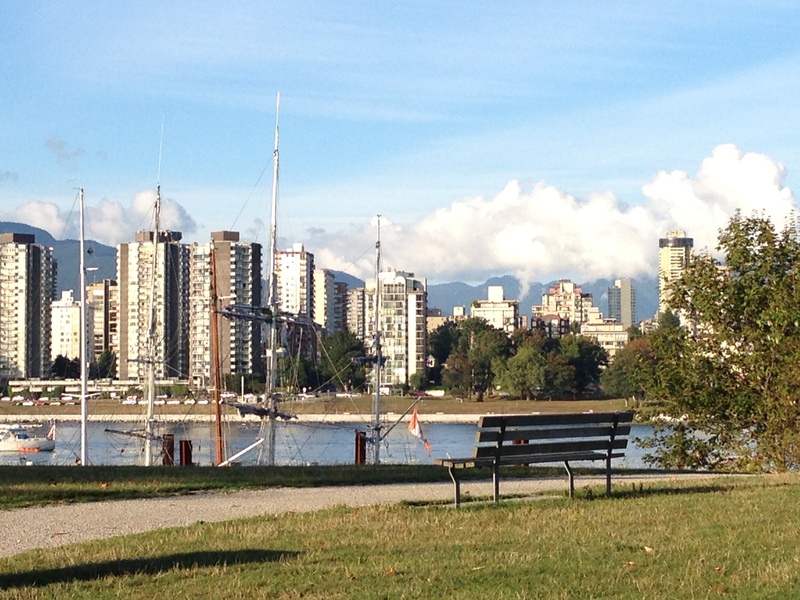 For example, did you know that Vancouver is home to Canada’s wealthiest neighbourhood? (at least according to my tour guide) Then again, this is the same man who yanked the trolley horn and slammed on the brakes, yelling “WILDLIFE!” every time a squirrell appeared. I take it with a grain of salt. I also learned that in it’s downtown core, Vancouver is laid out specifically to ensure the city remains beautiful. Certain streets are protected from buildings blocking the skyline to maintain the picturesque views of the mountains. How incredible is that? We split a series of appetizers, as I was told by the friends I dined with that the appetizers are spectacular, but the mains underwhelming. By far, my favourite new culinary discovery happened when I encountered the Fried Coconut Dumplings (something this fantastic deserves capitalization). They are essentially crunchy round biscuits, warm and fluffy on the inside and served with guava and mango butter – I preferred the guava. Such a unique and beautiful discovery – must find these in Toronto! Clearly they disappeared too quickly for me to snap a photo, but I encourage you to visit Calabash and order them. You will not be disappointed. 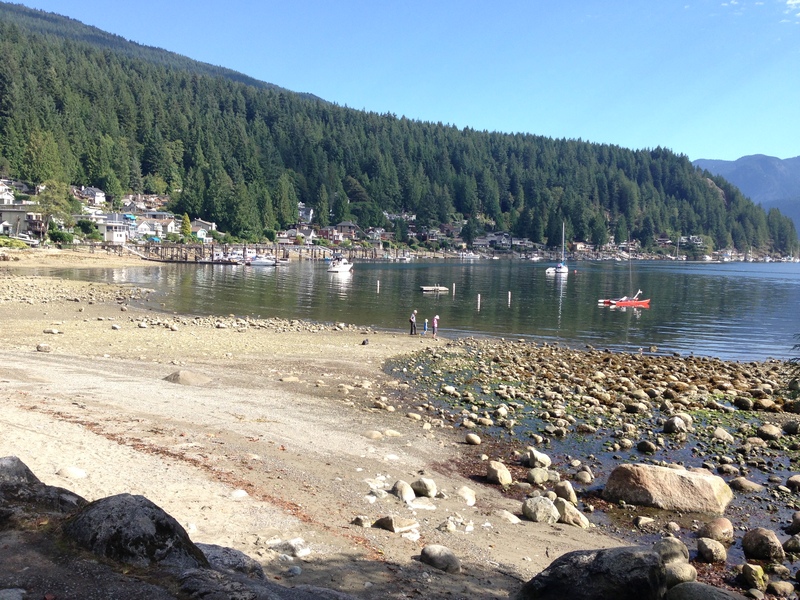 The morning of my last day we ventured to Deep Cove, a gorgeous Vancouver community right on the water with a view that includes mountains, ocean and everything green. I can’t imagine the residents here feel the need to venture too far too often. I should also mention that my friend introduced me to the best doughnut of my life in Deep Cove. I’m not a huge doughnut fan in general, but these could not be compared to anything I’ve had called a doughnut before. If you find yourself in Deep Cove, or even if you don’t, you must go to Honey Doughnuts and Goodies and order a honey doughnut all to yourself – trust me, you won’t want to share this baby. 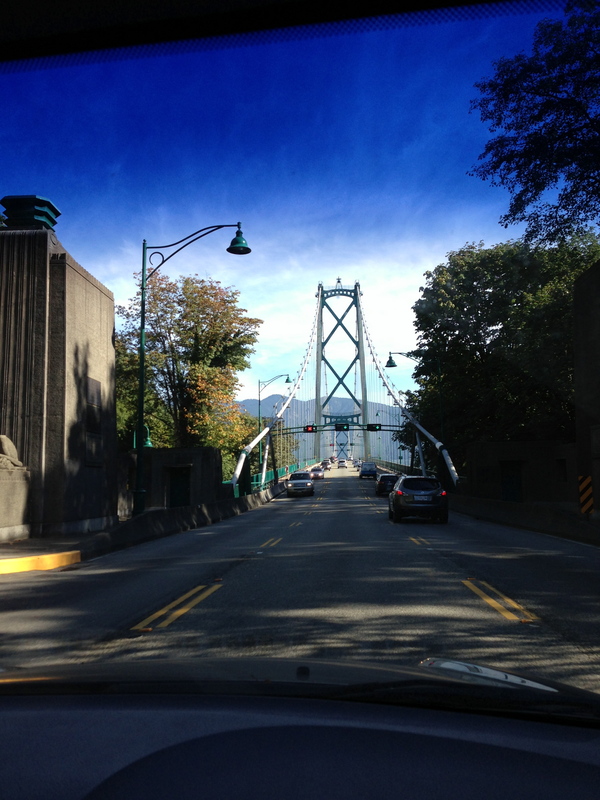 Yesterday, I arrived in beautiful Vancouver, B.C. to begin a 5 ½ day food-athon across one of Canada’s most picturesque cities…and most importantly to visit one of my best friends! I was in Vancouver many years ago, but was too young to fully appreciate the beauty of the landscape, and the evolution of the city’s food culture is a more recent phenomenon anyway. 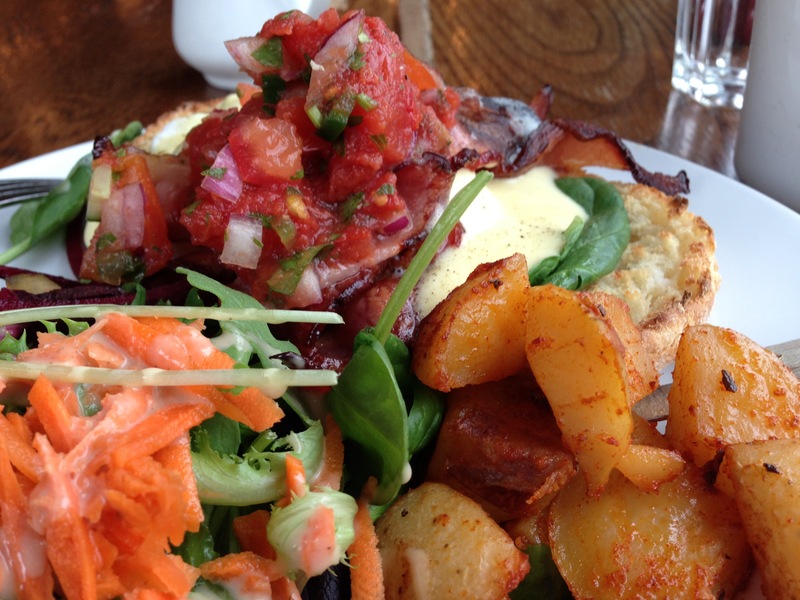 Upon arriving in Kitsilano, we started with lunch at Peaceful Restaurant. A nondescript looking eatery, made famous for it’s hand-pulled noodles, and made more famous by a visit from none other than Guy Fieri, on an episode of Diners Drive-ins and Dives. It was hands down, the best Chinese food I’ve ever had. Asian Legend in Toronto is a very close runner-up, and to be fair, I didn’t order dishes at Peaceful, that I’ve had at Asian Legend, but I can say it completely exceeded my expectations. As per my trusted friend’s recommendations we ordered some of their famous noodles with spinach and a spicy peanut sauce, the spicy pork dumpling soup and the steamed buns and dove in. 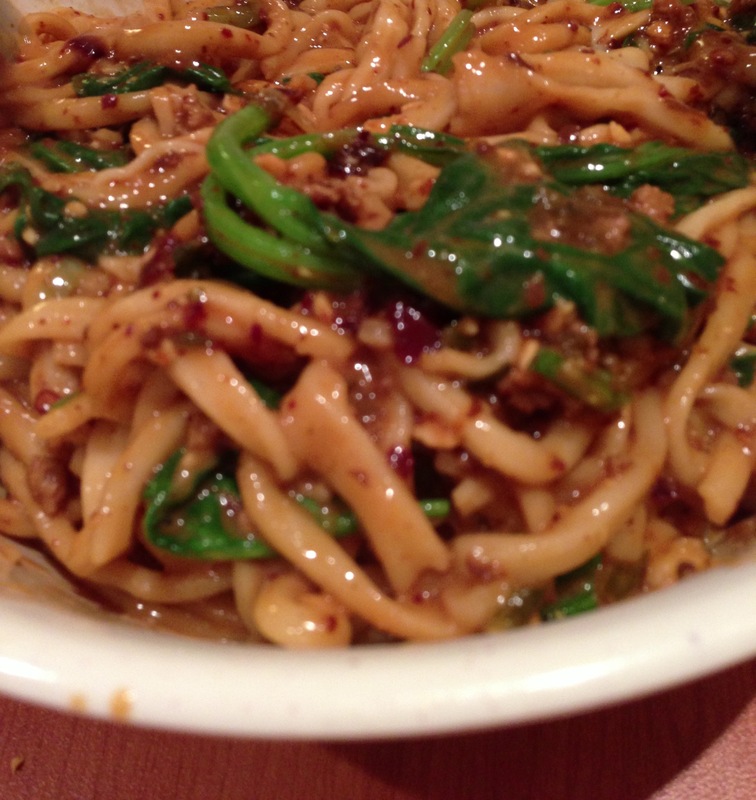 The handmade noodles melted in my mouth, and the combination of the peanut and spice was uniquely creamy and zesty at once. The steamed buns are filled with a pocket of hot liquid soup, that bursts when you bite into them – a beautiful surprise! As for the spicy dumpling soup, if I lived nearby, I would undoubtedly be popping in every week for some of that tangy, broth. 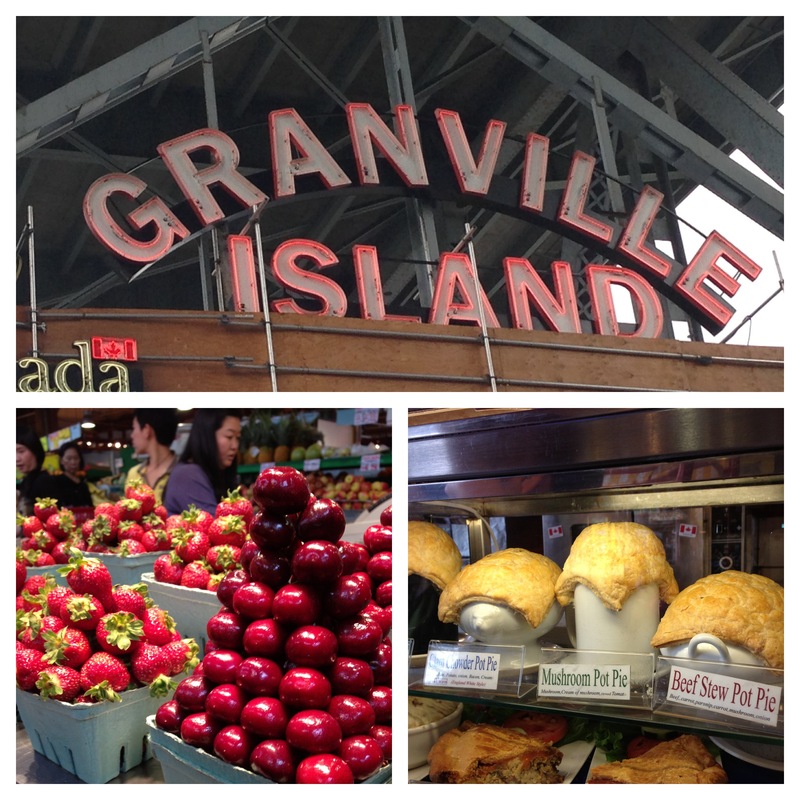 My food adventure off to an excellent start, my friend went to work and I toured Granville Island. The market there reminds me very much of Toronto’s St. Lawrence market with a West Coast flair. I picked up some homemade granola and wandered the winding little streets, in and out of various shops, eventually making my way back to Kitsilano to get ready for a really special night out. We were going to Chej Vikram Vij’s restaurant, Vij’s for dinner. This was the place I was most excited to visit on my trip here and my expectations were high. Upon arriving, I was told there would be a wait of about 1 ½ hours, which I had expected. I made my way back into the lounge I had heard so much about, and ordered a glass of wine and waited for my friend to arrive. Throughout my wait, I was offered several incredibly unique and tasty little bites to snack on and the atmosphere was warm and friendly, like being invited over to a charming friend’s home for dinner…a very trendy, well-to-do friend with an excellent decorator. Once seated it took us almost no time at all to order. We had the pork belly spoon with apple and pear chutney, which, let me emphasize, you MUST have if you go here. It was possibly the best anything I have ever eaten in my life. There were dozens of spices I couldn’t even pick out that all melded together perfectly in one surprising and satisfying bite – unbelievable. We moved on to chickpea and ricotta cookies in a tomatoey chickpea sauce. We both agreed that while we liked the cookie part, the chickpeas in sauce, though tasty, wasn’t particularly special. However, the braised short ribs and lamb kabobs that followed absolutely were. These dishes were saucy, creamy, melt in your mouth delights that had me licking my spoon and tearing at the complimentary Naan to keep sopping up the sauces, not wanting to miss a drop. Throughout the meal they bring warm naan and a fragrant basmati rice to accompany your meal. The naan will also keep coming should you run out. We made room in our desert stomachs (located somewhere between your rib cage and main stomach) for tiny doughnuts soaked in a clear syrup. They were soft, sweet, slightly crisp and the syrup had a warm, maple-like flavour, It really reminded me of an elevated version of pancakes with maple syrup – delicious! One technical detail I really appreciated was the fact that our plates were always brought warm and the cutlery was always refreshed with each new offering. It really is the small things that count. On a side note, there are no pictures of our meal at Vij’s because it disappeared too fast. After walking more than I possibly have in years in one day and eating my (and probably many other people’s) fill of fabulous food, we dragged ourselves home and passed out. I awoke this morning with a plan, I was on my own today to explore historic Gastown, but first, a breakfast of champions at the famous Vancouver landmark patisserie, Thomas Haas. I was informed by my friend and by the kindly young hipster at the counter that I might want to try their most famous dish, the double baked almond croissant. I don’t need to be told more than twice, when the words “double baked” are involved, so I ordered one along with a London Fog. 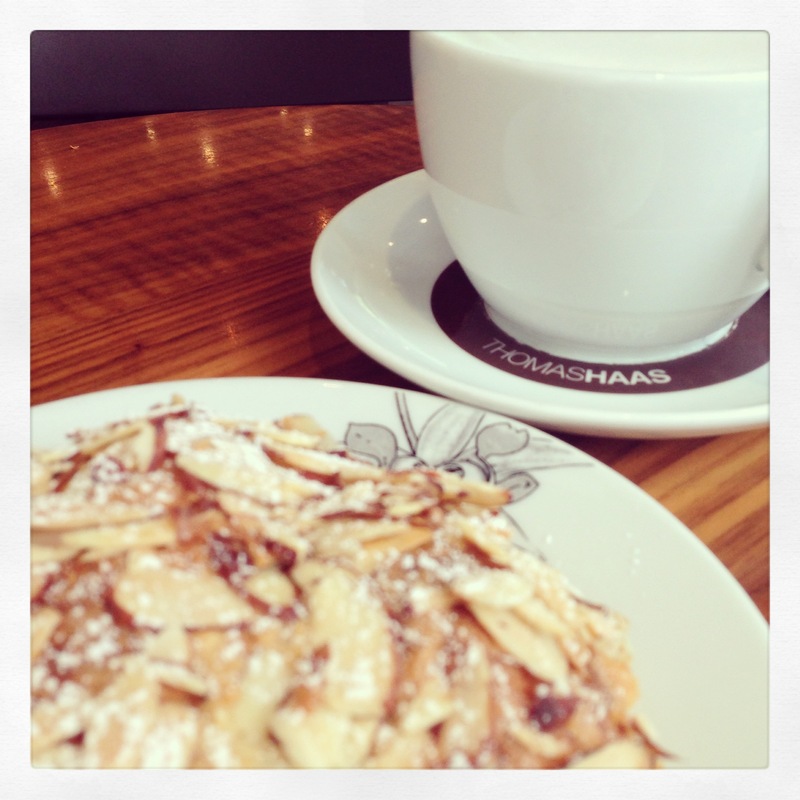 Sipping my tea latte and tearing sticky pieces of my crusty, gooey, croissant, I read up on Thomas Haas and how he came to Vancouver. A sweet story (no pun intended), I recommend giving a read. I made my way all around Gastown this afternoon, admiring its cobbled streets and many, many, many restaurants and cafes. 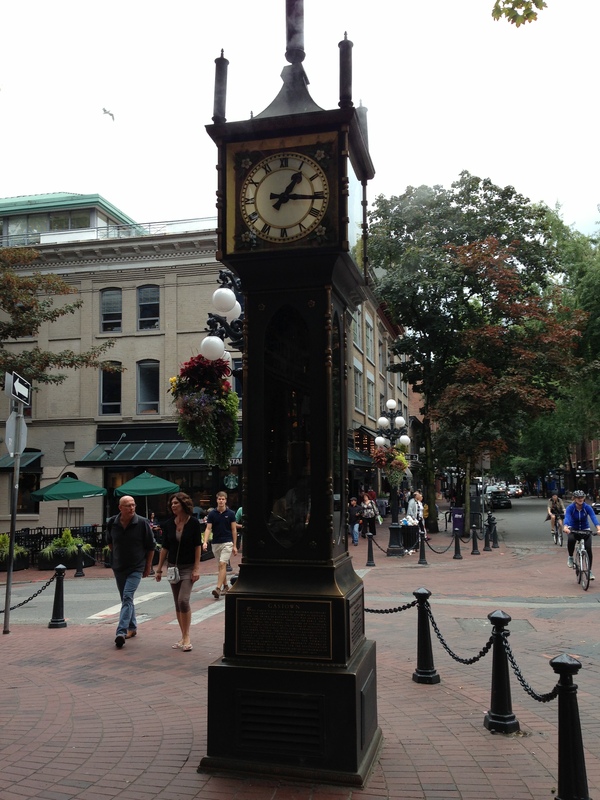 The highlight of this journey was when I stumbled across the Gastown Steam Clock, which releases steam to a tune every 15 minutes. Also saw a woman punch the sturdy clock (it was having none of that) in protest to its steam whistling (she had apparently had enough). For lunch I was determined to find PazzaRello. 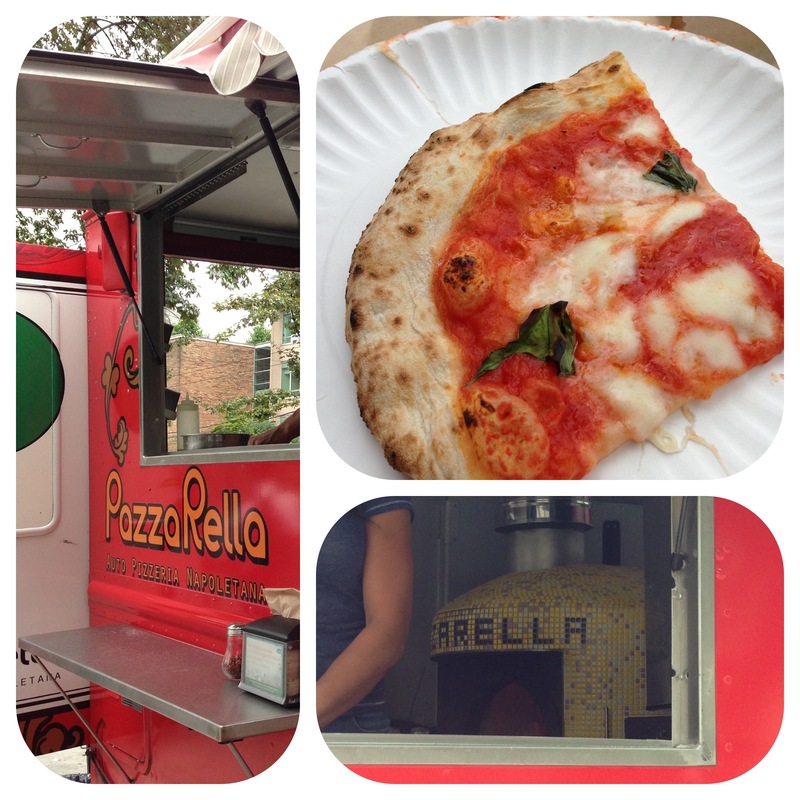 Canada’s only food truck with a wood burning oven…onboard! They serve up a mean traditional Napolean pizza, with a scorched crust, and a gooey, foldable centre, just as pizza was intended. 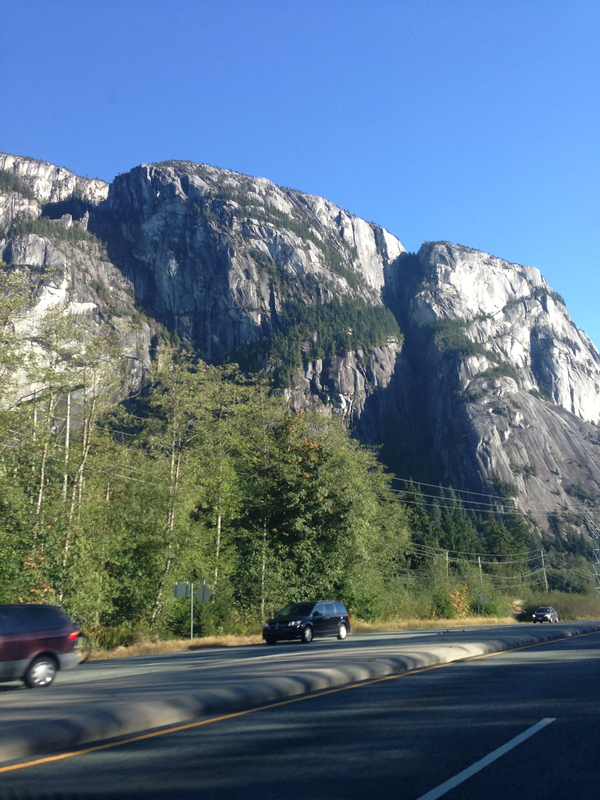 My favourite thing about Vancouver that I’ve found the most surprising so far, is the mountains. Toronto is a flat city, where you can see the CN Tower from anywhere, which is actually something I like, as I find it reassuring. Here the mountains tower over you, leaving me feeling quite small, marveling up at their sheer size. The combination of clear, deep blue water, meeting tall, purple mountains and endless sky, is overwhelmingly beautiful.